Quinns: Hello! Is it time for Games News? I feel so jetlagged that this is quite likely to be a terrible dream. Any second I’ll wake up still on the plane, one of my eyes gummed shut, the overweight man on my right having spilled an entire vodka miniature in my crotch. Best to just enjoy this reality while it lasts, with its crunchy toast, hot coffee and board game news. 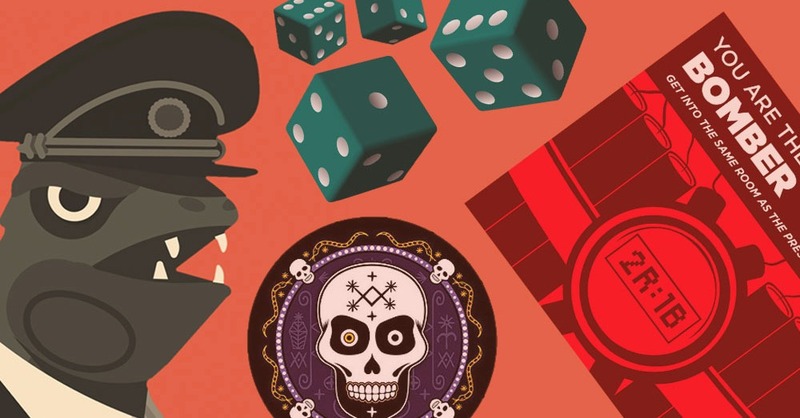 First up is the mighty Eurogamer, which has published a couple of articles about Chess 2 and Pandante, games that attempt to “fix” chess and poker, respectively. The problems with each game that the article illuminates are interesting, the solutions are interesting, and the driving force behind each of these re-imaginings is David Sirlin, who’s quite the character. I mean, his published book is called Playing to Win: Becoming the Champion and references Sun Tzu’s The Art of War. Yikes. So long as I’m Sirlin-bating, I wasn’t the biggest fan of his game Puzzle Strike, and personally, Skull & Roses solves Poker in terms of what I’m looking for. I mean, surely the concept of “fixing” a classic games involves accepting that everybody wants something different out of it? Here’s something a little less grandiose that we’ve yet to cover. 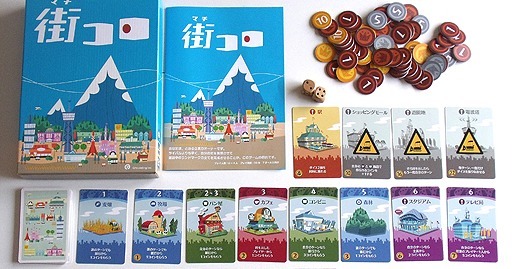 Machi Koro is yet another lightweight Japanese game that’s started turning heads here in the West. Basically, basically, what we’ve got here is a quicker, squeakier Settlers of Catan. Players start with a field, which produces money on some pitiful roll of the dice. 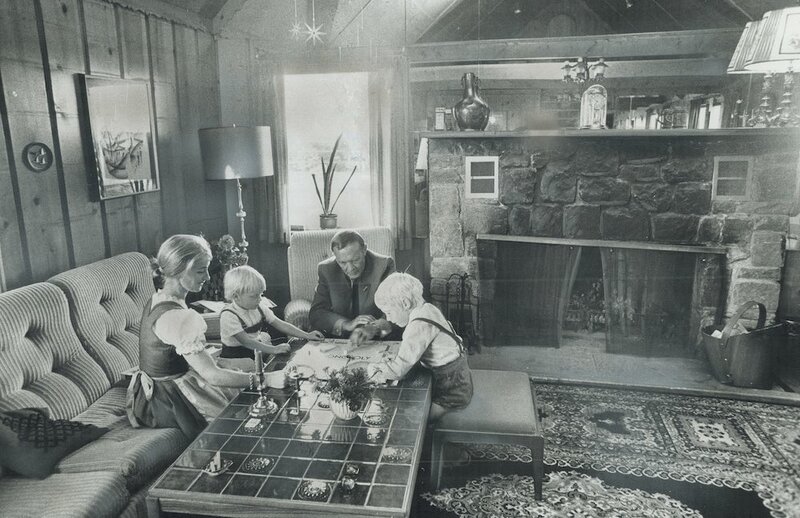 As players get more money they can add cheese factories or theme parks or national parks to their card tableux, each of which enjoys a different benefit from rolls of the dice. In summary, then: You start playing. You roll some dice. You swear, you cheer. You get coins, slowly building up your holdings into a giggling, coin-spewing slot machine. Your thigh brushes your neighbour under the table. You feel a spark. Do they feel the same way… ? Their eyes meet yours. Just go with it. Don’t think about it. That’s what love is. That’s what Machi Koro is. Oh! Coin Age is really cool, and the Kickstarter launched JUST THIS SECOND. Donald from Board With Life carries this in his wallet, and showed it to me. Never mind all these new Japanese minigames. 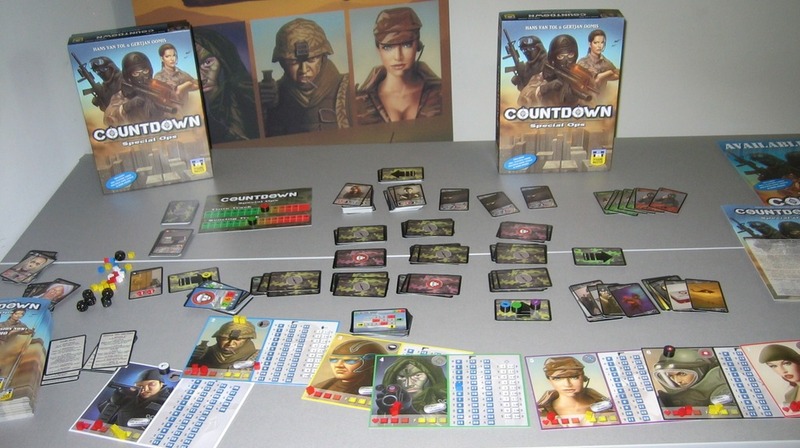 Coin Age is, as BoardGameGeek News “coined”, a nanogame. This game is just a single businesscard that you play with the loose change in your pocket. Brilliant. 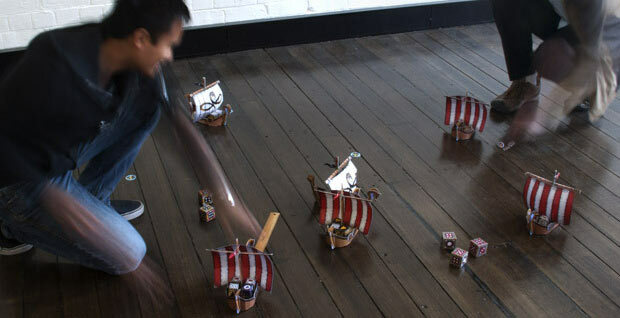 Speaking of lovely ideas, Viking Horde is a Kickstarter that offers papercraft battles at sea with big ol’ boats and little cuboid vikings. 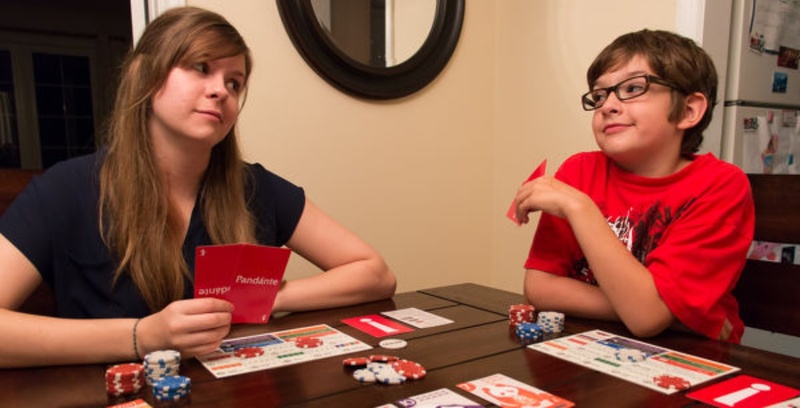 The game itself is less interesting than just the concept of using papercraft in board games. With the laughably heavy, expensive Ogre arriving in shops this month, you’ve got to wonder if going Papercraft wasn’t the way to go with that release. Push the boundries of print’n’play to make even bigger miniatures, offering your audience more of them, and more variety of them? Sell a “collector’s edition” with ultra-lavish paper? No? No, you want to release a 25lb game ok.
AND FINALLY! SWAT team-type-thing simulator Countdown: Special Ops has picked up a publishing deal and will be appearing in shops at a point in time. I was ready to make fun of this for using the same unsettling, glassy-eyed, casually problematic art as Police Precinct, but now I see that it has an optional real-time mode. Just the idea of yelling at Paul to disarm a bomb or save a hostage because time is running out and OH GOD and MAKE THE CALL makes me smile, so maybe this’ll be a bit of fun after all. Is it over? It’s over. OK.
What’s the worst you’ve ever slept, readers?